Look sharp on desktop, tablet and smartphone. 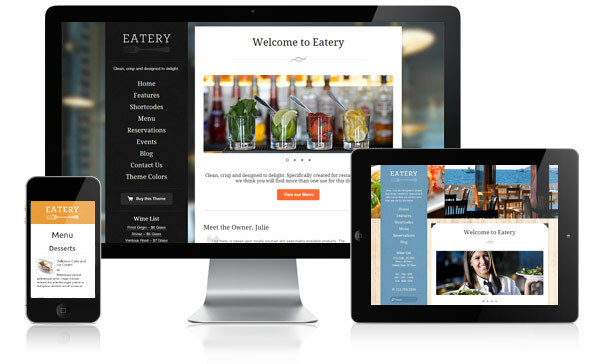 A highly requested feature for restuarants, cafes and any business looking for a responsive design. We’ve created a custom post type for all your food items. You can group them and display them anywhere on your site using the [foodmenu] shortcode. 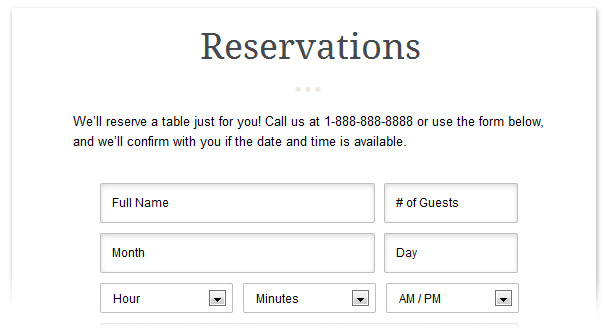 Take reservations through our built in reservation form page template and receive immediate email notifications whenever a new reservation is received. 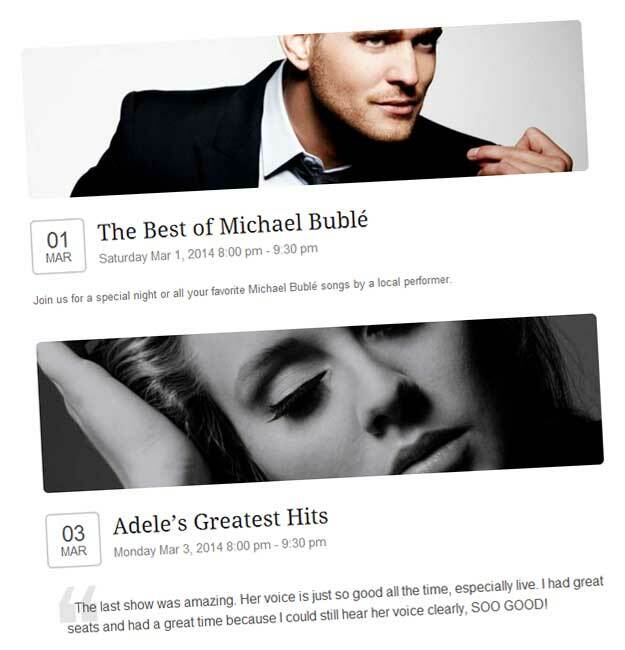 Create events and feature them on a page or in the sidebar with our events widget. Included in the theme are 5 color schemes. You can easily choose your favorite or use our colors as a starting point to create your own. 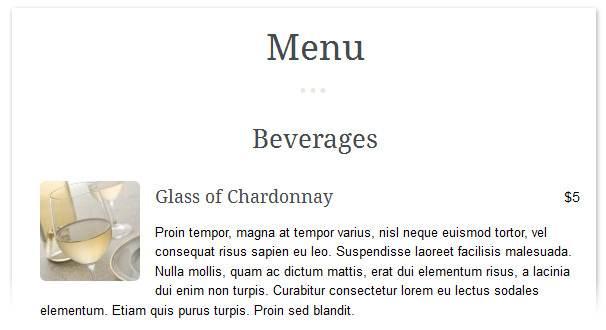 Choose from any of the included 9 Google Fonts with complimenting paragraph text. 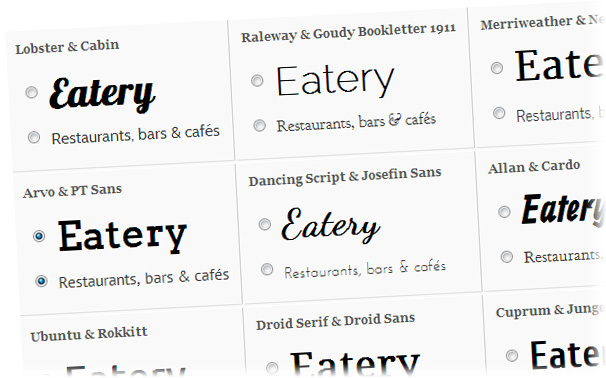 Mix and match for the perfect fit, or select any other fonts from the large selection available from Google Fonts. 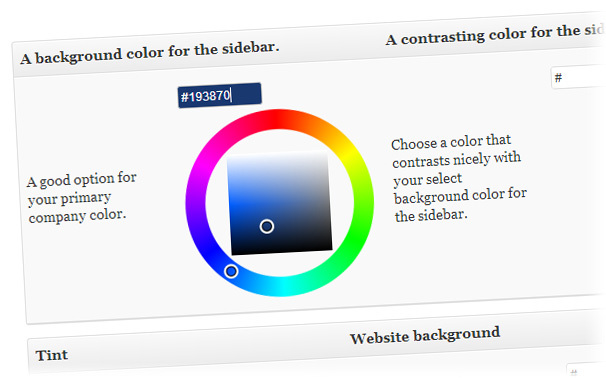 Using only 6 color choices you can create a beautiful custom color scheme. We’ve made it easy for you to select and use custom colors. Create your custom header from 1 panoramic image or up to 8 photos- or choose a full background image for your site. Use any of our included background patterns or easily upload your own. Easily add to your sidebar any or all of the 18 social media icons included.